If you want to find a dentist in Rochester, NY, that is committed to elevating dentistry to an art form, then look no further. Sam Guarnieri, DDS, is committed to professional development and advancement to enhance the predictability of your dental work. Dr. Guarnieri practices dentistry with integrity, trust and empathy and always doing what is in his patient’s best interest. A lifelong student, Dr. Guarnieri is passionate about dentistry, improving his skills and seeking new knowledge to deliver long-term, outstanding results when it comes to your smile. His commitment to professional growth and keeping up with modern dental technology and procedures is a testament to Dr. Guarnieri’s dedication. Excellence is in every aspect of his comprehensive approach your individual needs. His ultimate goal is to partner with you in achieving and maintaining your highest level of optimal dental health and overall health. Dr. Guarnieri’s passion for dentistry began when he was eight, when one morning at breakfast he announced to his parents that he wanted to be a dentist. His desire has not wavered and he has dedicated his life to elevating dentistry to an art form through continuous learning. 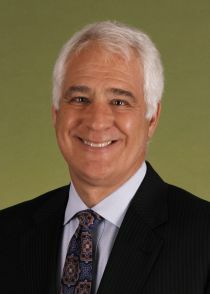 Based in Pittsford, NY, dentist Dr. Sam Guarnieri has been practicing since 1981. He earned his undergraduate degree from Niagara University. He then earned his Doctor of Dental Surgery (DDS) degree from Howard University School of Dentistry in Washington, D.C, and completed his dental residency at Strong Memorial Hospital. Dr. Guarnieri maintains the highest levels of accreditation and pursues ongoing educational opportunities as part of his professional growth. He has studied with Dr. Soroush Zaghi Stanford ENT and sleep specialist. Dr. Guarnieri has undergone the completion of an Airway Mini Residency in Sleep Breathing Disorders where he has also trained with a number of specialists in SDB from Harvard to Stanford. He has completed programs at Misch Implant Institute, The Pankey Institute, The Dawson Academy, CAMBRA and Piper Dental Clinic. Dr. Guarnieri is one of the first dentists in the Rochester, NY, area to offer CariFree technology. He also attended the internationally renowned Kois Center for dental education. Dr. Guarnieri founded the Upstate New York Kois study group in which he has world-renowned speakers help educate Dr’s from as far away as California as well as Toronto, Chicago, NYC, Boston, and locally. Located in Seattle, Washington, the Kois Center is an advanced educational and clinical program for dentists consisting of a nine-course program that covers the latest in advancements in the latest advancements in comprehensive health care, esthetics, implant and restorative dentistry. The Kois Center is more than just a world-renowned educational facility—it is a forum where the most accredited in dentistry congregate to share ideas and information with the common goal of advancing dentistry for better health in each patient. Dr. Guarnieri is a graduate, mentor, and clinical instructor of the Center. Dr. Guarnieri had to pass an oral and written exam as well as demonstrate a thorough knowledge, understanding and dedication to the excellence and progress of restorative dentistry in his practice to achieve this level of recognition. As a mentor and clinical instructor Dr. Guarnieri aids in the education, training and growth of Kois Center students from all over the world. In 2013, Dr. Guarnieri founded the upstate Kois Study Group to help increase the level of competencies to ultimately increase the level of care for each patient. Dr. Guarnieri strives to educate and increase care throughout the entire upstate New York area.